Fibre optic cable was required at the underground copper mine to monitor and manage automated mining equipment. Ampcontrol’s H3RO; harsh environment reticulated fibre optic solution, was deployed from the telecommunications hut on the surface, down a catenary wire through the existing open cut mine and into the new underground mine. 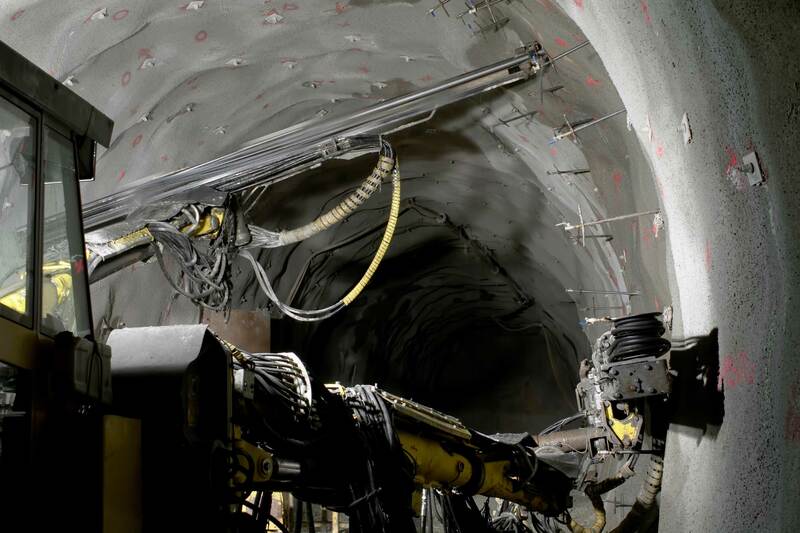 H3RO’s robust IP68 Bots (Break-Out Terminals) and UV protected cables made it the ideal choice for both the surface and underground components of the project. The H3RO fibre was reticulated down the mine with the H3RO Bots positioned where fibre cores would be required now and in the future. Services utilising this fibre optic network include phones, load scanning, seismic sensors and sub-station monitoring. The H3RO system was terminated into the autonomous miner, allowing remote operation. The modular system allows easy expansion as the mine progresses and agility in accessing the fibre network anywhere between the face and surface as requirements evolve. H3RO’s plug and play functionality and modular components enabled this installation to be undertaken by site staff, as opposed to specialist fibre optic technicians. This saved the remote site considerable time and money. Ampcontrol then undertook a site fibre optic audit and OTDR (Optical Time-Domain Reflectometer) testing to verify the install before the new underground machines were commissioned. H3RO’s modular components and future proof design enables quick and easy duplication or extension as required, ensuring the system can be expanded and modified as the mine advances. Future network extensions will be completed and tested by site labour. An OTDR, training and connector cleaning and inspection kit were supplied as part of the total package. Since commissioning the H3RO system has performed reliably, been integrated easily with additional 3rd party equipment.